Last time, I proposed a few definitions of what posture is and noted that in performance, dynamic posture is the most important thing. Even though static posture doesn't exist in many sports, in my experience it is a good indicator of what somebody's quality of movement will be like once they begin moving. This makes having a detailed conceptual model of ideal static posture worthwhile. Anything that helps take an individual towards this ideal (they will never reach "ideal" but it is a useful fictional notion) generally helps their mobility. 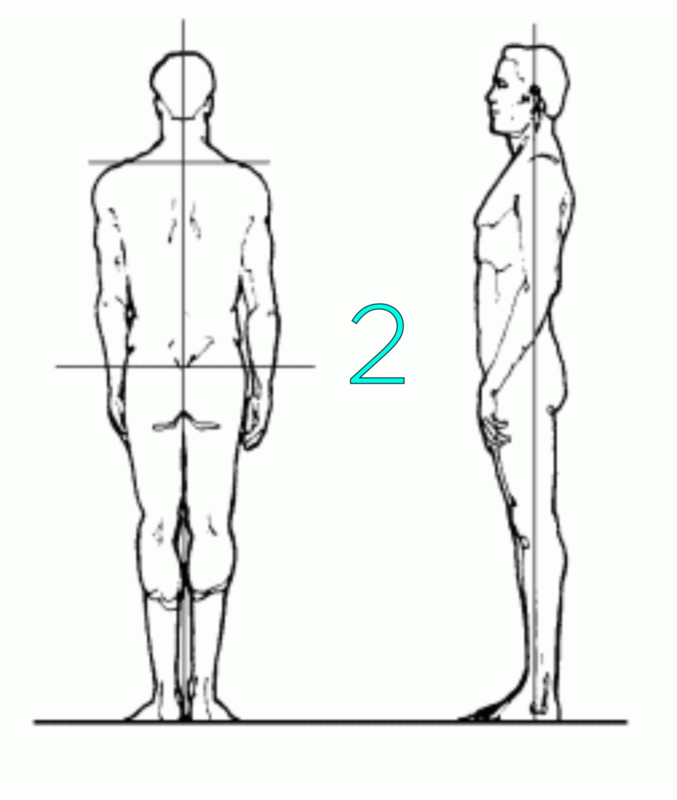 A quick-read blog post is no place to lay out an in-depth model of the ultimate static standing posture but I will point to two of the most important features of it. There are many different patterns of "bad" static posture that we're all familiar with; the most common of which displays a forward head, a sunken chest and an anteriorly tilted pelvis (if this term doesn't mean anything to you, think of a plate in place of your pelvis tipping forward and spilling its contents on the floor in front of you). It may come as no surprise that unsinking the chest and untilting the pelvis are the actions that need to be taken to move us (if we fit into this pattern) towards this ultimate posture. Generally, I don't tend to focus on drawing the head back from its jutting-out forward position. Lifting the chest bone will often automatically bring the head back into its ultimate position, with the ear hole directly above the centre of the ball of the shoulder. Drawing the head in doesn't drive the chest as powerfully towards its ultimate position. Having the pelvis effortlessly occupying a neutrally tilted position during standing and the chest not sunken or lifted occupying its neutral position gives the spine its longest vertical configuration. In keeping with its structural design, there will slight curve inwards of the lower back and a slight curve outwards of the upper back. An overly-lifted chest (which is rare in my experience) leaves the upper back too flat. The neutral pelvis and ribcage and the longest possible spine puts all of the connected muscles at their ideal resting lengths in balanced states. From these balanced states, the muscles have the potential to display their maximal contractability and extensibility. The torso will be able to stabilise properly, exhibiting real "core stability". The limbs, moving off the foundation of an authentically stable torso, will be able to move with freedom and power. In many acts of great speed, strength and power, the pelvis and ribcage will assume this relationship to each other in physically competent athletes at the moments of maximal force transfer. In great sprinting, jumping, throwing, kicking and many other movements, the spine is long. Learning to acquire and maintain this long spine - neutral ribcage - neutral pelvis configuration in motion, especially while moving quickly or subject to large forces, is almost impossible. To get towards the ultimate posture, working on improving the static stance is where we start. Keep your eye out for the final piece of this article where I'll be taking you through some methods of working towards the ultimate performance posture.